Cognex Corporation (NASDAQ: CGNX), the world's leading supplier of industrial barcode readers and machine vision, announced today the addition of the DataMan 70 series to its successful line of compact fixed-mount barcode readers. 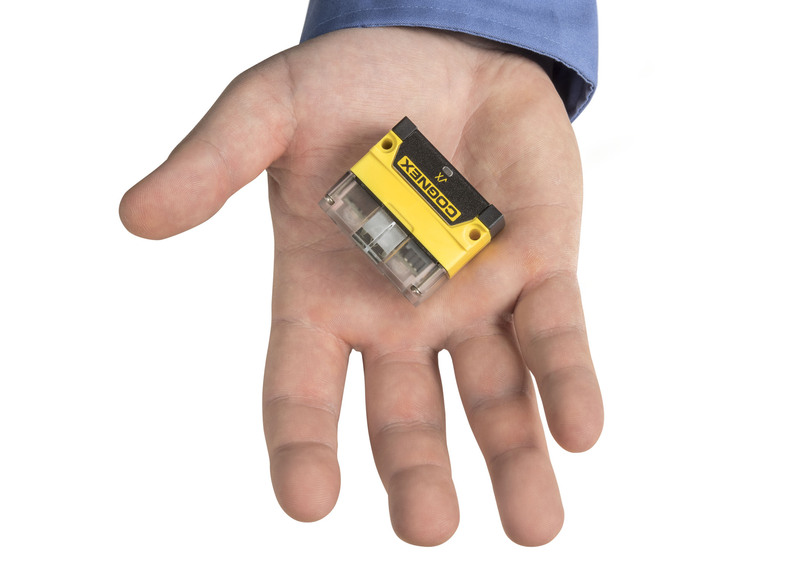 DataMan 70 delivers the highest read rates for 1-D and 2-D label-based barcodes in a form factor small enough to fit in the palm of your hand. Cognex's DataMan 70 series offers manufacturing and logistics companies higher performance than single-line and raster laser scanners, at an equivalent cost. Its flexible configuration options and small size also make it ideal for mounting in tight spaces on production lines and in machinery. "We've seen tremendous demand for our compact fixed-mount barcode readers from laser scanner users tired of low performance and short product lifespans," says Carl Gerst, Cognex Senior Vice President, ID Products. "The new DataMan 70 offers more advanced image formation to read even damaged or distorted label-based codes, and it's designed with no moving parts, meaning it won't require maintenance." DataMan 70 is optimized with industry-leading barcode reading algorithms and individually controlled LEDs to ensure continuously high read rates. Measuring just 22.2mm x 35.8 mm x 42.4 mm, it is ultra-compact, yet powerful enough to perform the most challenging label-based barcode reading applications. DataMan 70 series is available now. For more information, go to www.cognex.com/dataman-70.